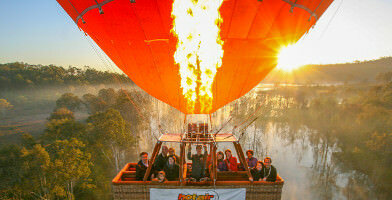 If you're looking for the ultimate present on the Gold Coast, look no further then these scenic hot air balloon flights. Climbing into the basket and rising up over the beautiful hinterland is a great way to celebrate any occasion! You can send the lucky boy, girl, man or woman on a journey over the Gold Coast to celebrate their special occasion in style. They'll be able to take in views of the beautiful Hinterland region and have the time of their life, all thanks to you! Whether as a romantic couple's experience or a wondrous trip alongside friends or family, hot air ballooning is a gift that will become etched in their memory regardless of the occasion. Choose from a 30 or 60-minute flight to gift below. 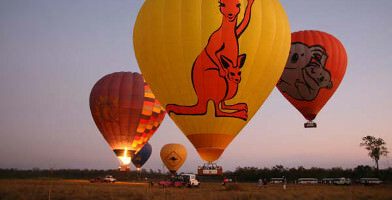 If you need a gift for someone on the Gold Coast, send them on a 30-minute hot air balloon flight with breakfast over the hinterland. Buy a voucher here! Give the gift of an enchanting one-hour hot air balloon flight at sunrise over the picturesque Gold Coast Hinterland with Champagne Breakfast. Buy voucher!